Curated Cocktails: Biblioholidaze – Make a Holiday Toast with MCASB! Join us for after hours at the museum! MCASB is offering $5 signature cocktails created by Outpost at The Goodland‘s resident mixologist Chris Burmeister, inspired by our current exhibition Requiem for the Bibliophile. Holiday tunes remixed by DJ Darla Bea with free art activities and educational tours available. 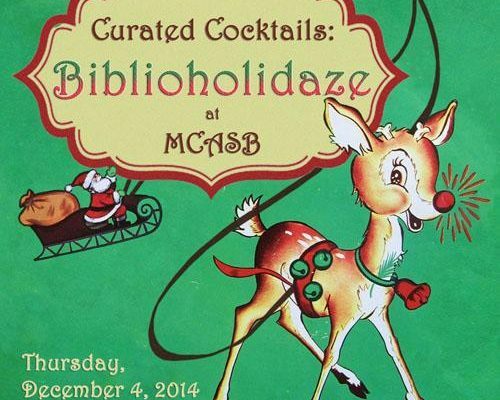 Register for Event: Curated Cocktails: Biblioholidaze – Make a Holiday Toast with MCASB! Your ticket for the: Curated Cocktails: Biblioholidaze – Make a Holiday Toast with MCASB!